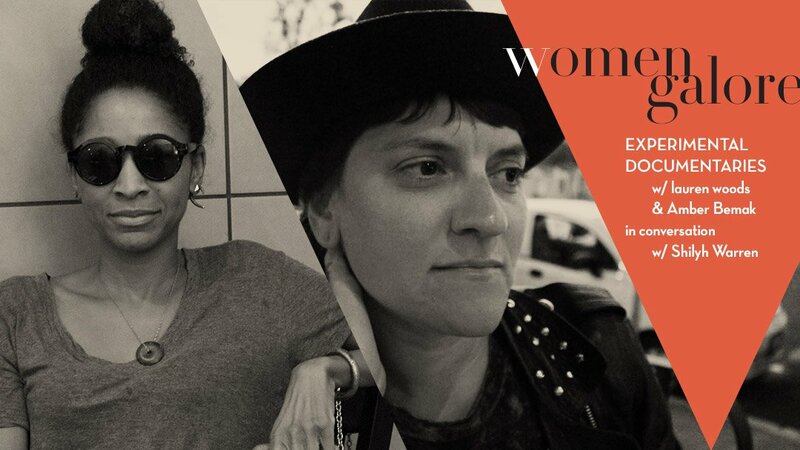 Join us for an evening of experimental documentary making with screenings of work by lauren woods and Amber Bernak, followed by a conversation with Shilyh Warren about their concepts and process. Oak Cliff-based Shilyh Warren is Assistant Professor of Film and Aesthetic Studies at the University of Texas at Dallas. She teaches a range of courses in film studies, including documentary, independent cinema, and feminist cinema. Currently at work on a book about women’s documentary film-making of the 1970s, her scholarship has also appeared in academic journals, including Camera Obscura, South Atlantic Quarterly, Signs, Jump Cut, and Mediascape. Shilyh collaborates with local Dallas filmmakers in a microcinema collective called Spectacle Society. She has also served as a judge for The Dallas VideoFest, and helped with programming for the Dallas Medianale. Lauren Woods is a conceptual artist whose hybrid media projects—film, video and sound installations, public interventions and site-specific work—engage history as a lens by which to view the socio-politics of the present. Challenging the tradition of documentary/ethnography as objective, she creates ethno-fictive documents that investigate invisible dynamics in society, remixing memory and imagining other possibilities. She also explores how traditional monument-making can be translated into new contemporary models of commemoration, substituting the traditional marble and granite for new media. Recently, Woods unveiled Drinking Fountain #1, a new media monument to the American civil rights movement, past and present activists/organizers, and the spirit of resistance, located underneath the remnants of a recently rediscovered Jim Crow “White Only” sign. Part sculpture, part intervention, located in the Dallas County Records Building in Dallas, Texas, the installation is part of the larger public artwork, A Dallas Drinking Fountain Project. Amber Bemak teaches filmmaking at Southern Methodist University, and her creative work is based in experimental and documentary film, as well as performance art. Amber’s work focuses on themes of Buddhist culture, performative explorations of the body in relation to greater political systems, and cross-cultural encounters in the context of globalization. Her feature and short films have played in numerous festivals internationally, and have been seen at venues including the Brooklyn Museum’s Elizabeth A. Sackler Center for Feminist Art, SculptureCenter, and Oberhausen Film Festival. She has taught film theory and practice in India, Nepal, Kenya, Mexico, and the United States. NOTE: The screening contains sexually explicit scenes.